Thank you to Linda Rader for this note and photo on October 26, 2016. Reblooming in our garden today is Aunt Mary. There are two stalks with 10 buds. Not all will mature, but there are three flowers looking good. Aunt Mary is a TB, 2000 by Tim Stanek, a Region 21 resident. Thank you to Kris Jurik for sharing this photo of ‘Daughter Of Stars’ reblooming in her garden today. 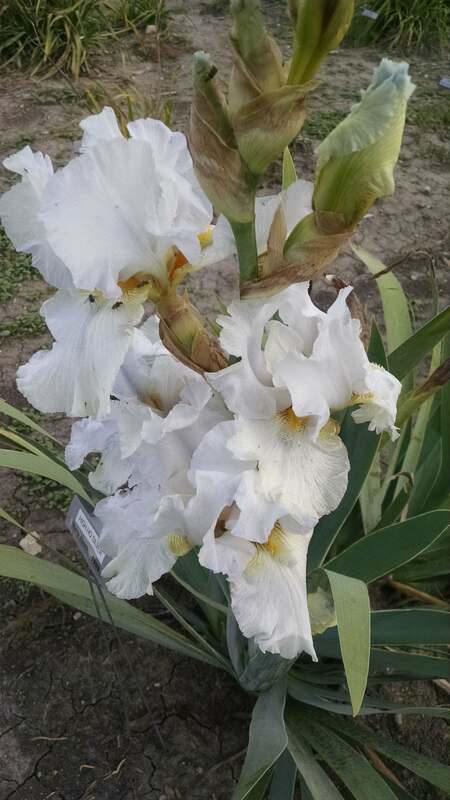 In addition to being a rebloomer, this Donald Spoon (2001) iris was a Wister Medal winner in 2007. Another reblooming note from David Lionberger on October 20, 2016. Thank you David. This is a photo of Cee Cee which bloomed today. TB, 1996, by Sterling Innerst. It is listed as a rebloomer but this is the first time it has for us. We have had it in our garden for six years or so. 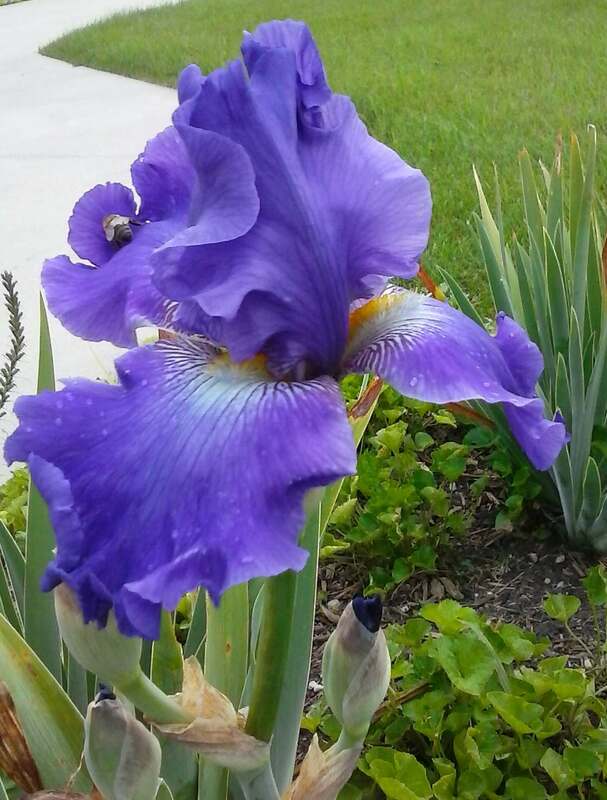 Thank you to Leslie Rule for letting us know about this rebloomer in her garden and sending the photos. Blooming October 15th, it is ‘High Ho Silver’ (Monty Beyers, 1989). You can click on either photo to see a larger version. 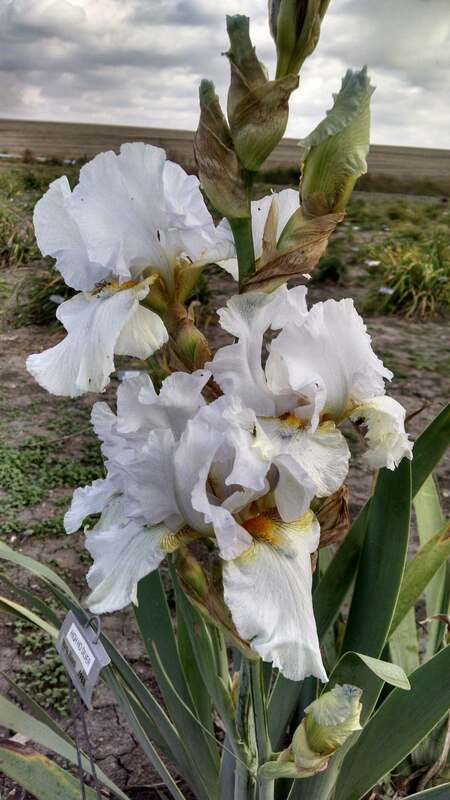 Then click on that to see a closeup which shows greater details of the irises. Great photos! David Lionberger had this note and photo in the latest Lincoln Iris Society Rainbow Messenger. Thank you David for sharing this. A second iris rebloomed here in August; ‘Oxmoor Hills’ opened August 29th in central Iowa. 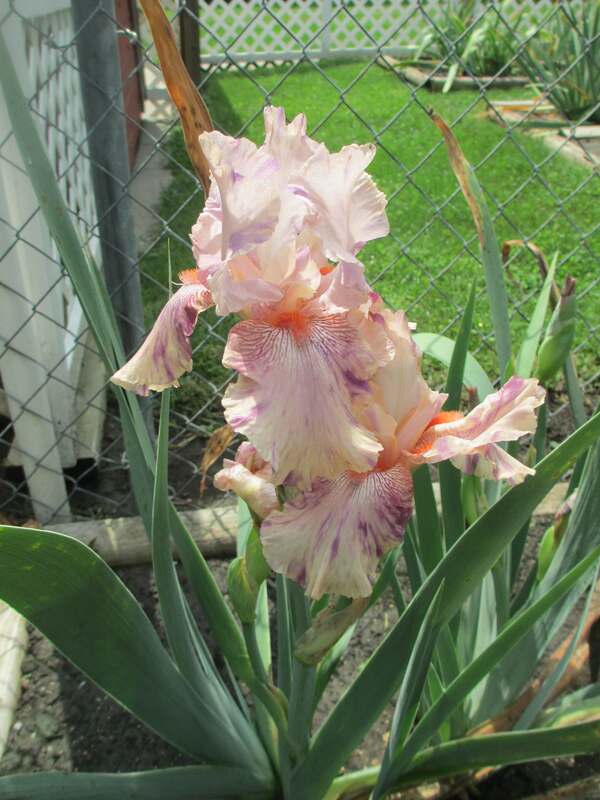 This is the second year this James Ennenga (2004) iris has bloomed super early. It so far has 4 stalks in a second year clump. 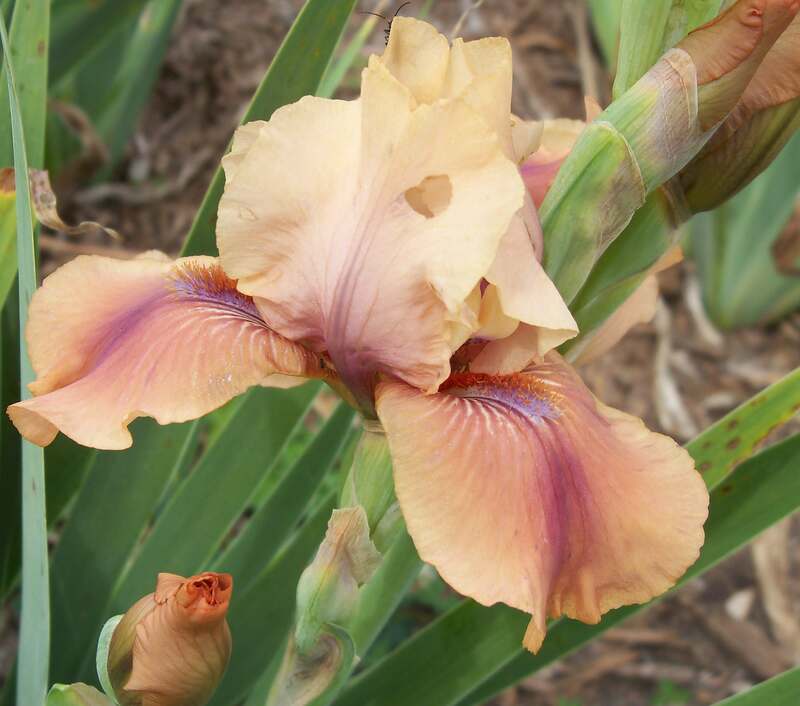 The other iris continuing to rebloom is ‘Rust Never Sleeps’ by Larry Lauer (2013) which is a guest iris for the 2017 AIS Convention. There have been blooms open everyday except one or two since August 14th. Still one open today, September 3rd. How are the reblooms in your garden this year? Let us know so we can add them to our website. The reblooming season in our garden started even earlier this year. 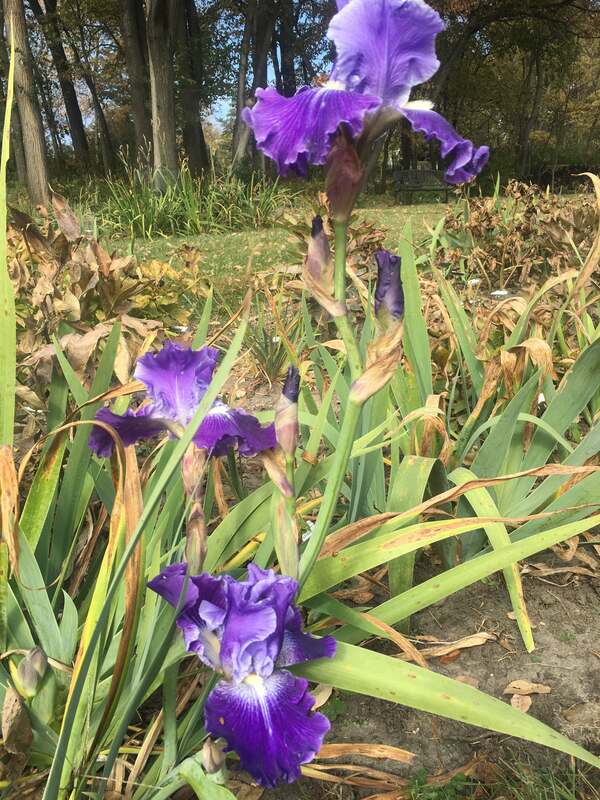 One of the guest irises for the 2017 AIS Convention was already in bloom on August 14th in our garden and on August 9th in the Iowa Arboretum. This is ‘Rust Never Sleeps’ by Larry Lauer (2013) shown in the above photo. It was planted last year and did bloom in the Spring as well. 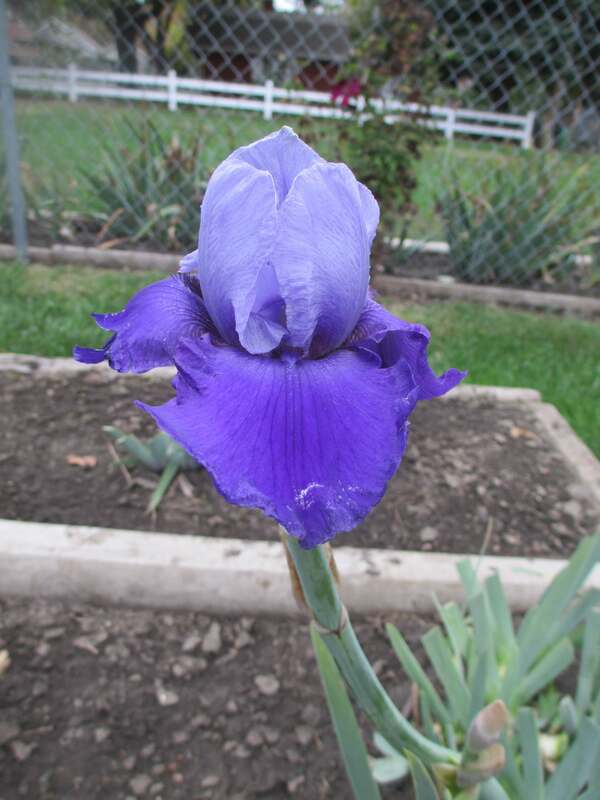 There is one other iris that has already put up a stalk in our garden. It is ‘Oxmoor Hills’ by James Ennegna (2004) which did bloom September 2nd last year. 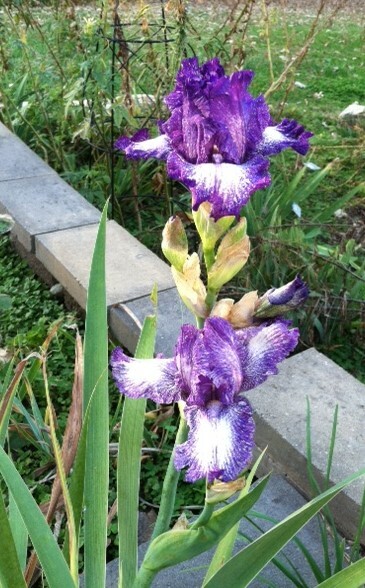 Do you have irises that are blooming now? Let us know and we would be glad to add them to the Region 21 website.